Home > Parent and Student Stories > Olivia’s story: going from strength to strength! Former Derwen College student Olivia Crossley-Holland, has gone from strength to strength in developing her employability skills. 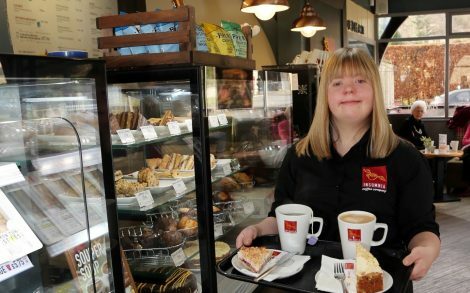 Olivia has Down’s syndrome and started at Derwen in 2011, opting to study Catering Studies alongside Hospitality and Housekeeping. Whilst with Derwen Olivia achieved an NVQ Level 1 in Food Preparation and Cooking, which saw her preparing saleable goods for the public, such as jams and chutneys in the college’s Food Production Centre, to serving at various functions and events, and working in the onsite Orangery Restaurant and Garden Café. 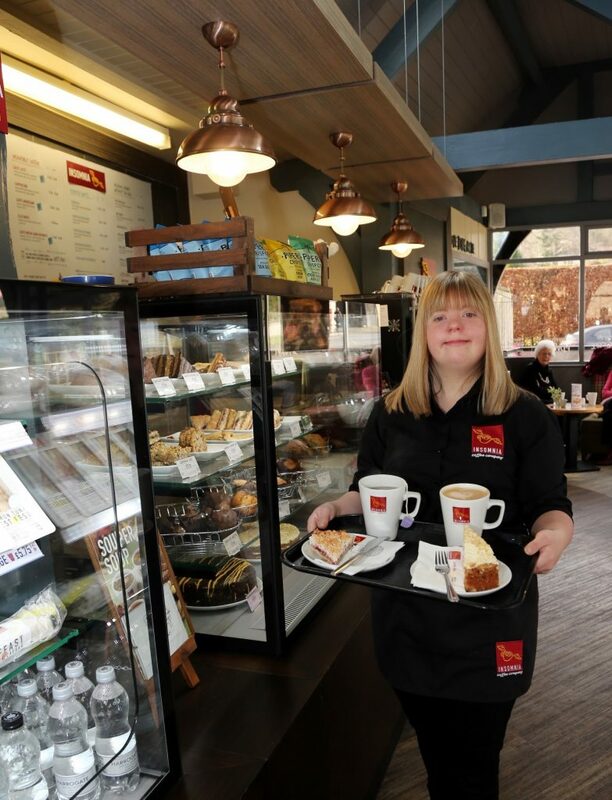 Olivia also gained experience working externally in the railway Station Café in Gobowen. After leaving Derwen in 2014 Olivia’s journey has taken her back to her home area of Derbyshire where she is now working for The Moon Inn, Stoney Middleton. With the support of Derbyshire County Council Community Connectors Olivia has found paid employment as a kitchen porter. She also volunteers for a local café and has an annual role in her village pantomime. Staff at The Moon describe Olivia as ‘an asset to their team and a pleasure to work with.’ They are amazed at Olivia’s work ethic and ability to focus on her job. Olivia’s mum feels that this is down to the excellent vocational training that Olivia received during her three years at Derwen College. The fact that training is daily really establishes an understanding of what it is to work in catering. « Megan’s story: from college, to work and life.